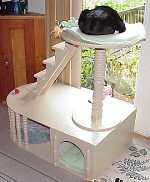 Most of these projects can be accomplished by a novice handyman. 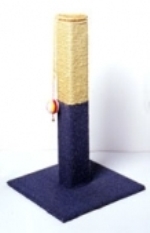 Many of the projects are more craft oriented than woodworking oriented. 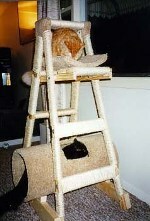 The cat posts and trees can make excellent family projects. 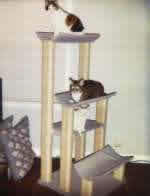 Selection of manufactured cat trees .